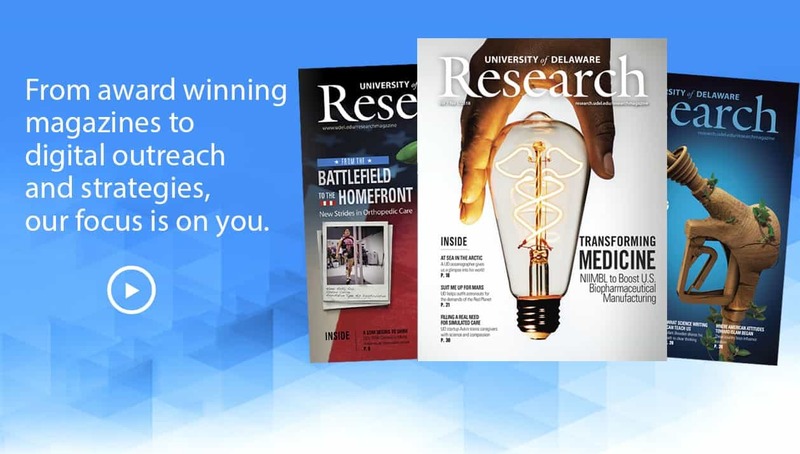 Information designed to assist departmental research administrators — professionals who work with researchers in their unit and with contract-and-grant experts in the Research Office in establishing, maintaining, and closing out research awards. If you are seeking guidance on developing a proposal and its budget, please see the Proposal Guide. 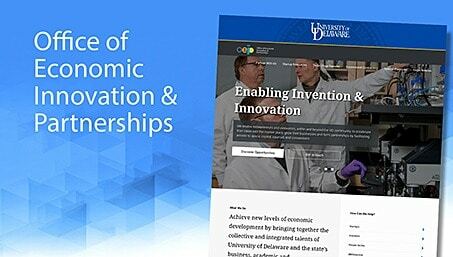 The University of Delaware has been awarded funding for a project. It is the PI’s responsibility, as well as the research administrator’s, to manage the funds appropriately. Are there special terms or conditions or sponsor requirements? Note any deliverables (reports, products)that PI is responsible for. Compare the awarded budget to the final proposed budget. Contact the Research Office if there are discrepancies. Note cost-share requirements. Hint: To check the proposal budget, review in UDataGlance. Computing devices means machines used to acquire, store, analyze, process, and publish data and other information electronically, including accessories (or “peripherals”) for printing, transmitting and receiving, or storing electronic information. Charging computing devices as direct costs is allowable for devices that are essential and allocable, but not solely dedicated, to the performance of a Federal award. Reference 2 CFR 200.20 and 2 CRF 200.453. After receipt of a new sponsored award or continuation from a sponsor, the Research Office will prepare the award for spending. We work with departments and PIs to finalize project budgets, setup backend access and prepare your award to. Setting up your files at the beginning of an award will help to keep you organized throughout the life of the award and make close-outs and audits a much simpler task. You may find it useful to set up a PROJECT ID folder to track transactions. Subfolders for each budget category or type of transaction allow you to further organize your transaction backup documentation. When a new purpose is set up by the Research Office for a new project, a copy of the Research Office Chart of Accounts Notification is sent to the PI and department account administrator or department representative (this varies by department). This document is a valuable resource for you to retain to help you in administering your award. The Purpose, Project, Contract, and Proposal IDs are all listed. You will need these IDs to run queries and track your transactions. Validate the accuracy of this report and discuss any discrepancies with the Research Office. Cost-share is defined as funds committed for the project that are not budgeted from grant funds. Some examples include equipment, personnel effort, and tuition. If there are cost-share commitments, contact the departments or colleges that have committed funds. Some cost-share will require companion Purposes; others may be tracked using cost-share Speedtypes or UD Userfields. We will go into more detail on different ways to track cost-share transactions in the section on Maintaining Your Award. The cost share policy can be found here. If the cost-share is from a third party, contact the source and outline requirements for documentation so that you can report these transactions along with the internal cost-share expenses. Specific guidance on cost-sharing in relation to federal grants is in the OMB Circular A-110, Subpart C.23 or UG Subpart D.
Initiate a purchase requisition for the funds. 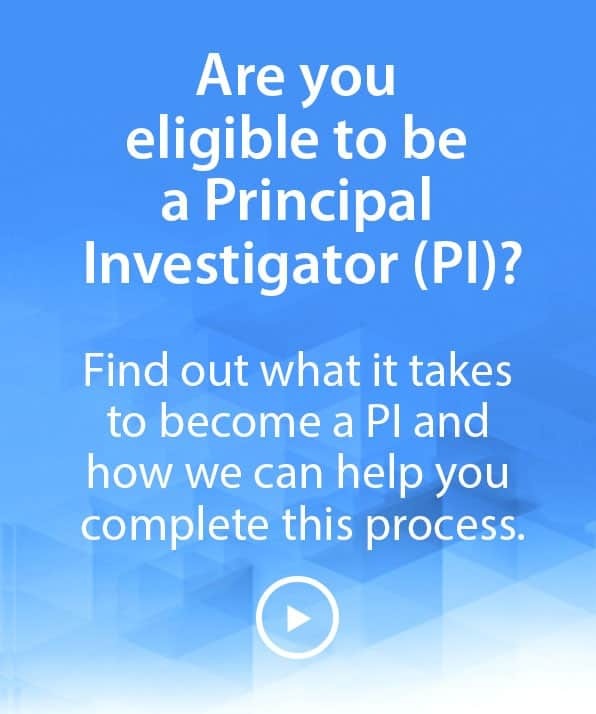 Identify any special reporting requirements requested by the PI. Revise the statement of work, budget, and budget justification as applicable. Department Administrator will establish a seperate file within their main award file to aid in tracking the activity associated with the subcontract . More detail on subcontracts is included in Maintaining Your Award. A consultant is defined as an individual (not a company) contributing his or her expertise to a research project for a determined fee. The Research Office will send a debarment statement with each contractual agreement. This will allow the Consultant to sign the statement when the Consulting Agreement is signed. Please see UD Policy on Professional Consultation. Program income means gross income earned by the recipient that is directly generated by a supported activity or earned as a result of the award (see exclusions in Subpart C.24 (e) and (h) of OMB Circular A-110), or UG subpart D during the period of performance. If there is program income included for award, refer to OMB Circular A-110, Subpart C.24, or UG subpart D for regulations regarding use of program income. For information on Sponsored Research Program Income Procedures follow this link. Equipment fabrication is the building of a new stand-alone piece of equipment. If the expectation is that the equipment being fabricated will exceed $5,000 in total cost, this will be budgeted as equipment. If there are fabrications needed as part of the project, transactions should be tracked from the beginning of the award. If personnel are supported on an award, the charges must be coded to appear on the correct project. In addition to direct charges for personnel, there may be related effort commitments which are tracked as cost-share. The Labor Allocation Module (LAM), which you’ll read about next, is a system used at the University of Delaware to allocate both types of personnel effort. Payroll charges are processed by HR and are allocated according to distributions which have been prescribed in the LAM by the employee’s department. Distribution of pay impacts Effort Certification, as well as the direct charges to the grant. The University of Delaware has a Labor Allocation Module (LAM), whereby administrators can assign accurate funding distribution to each pay per employee. Payroll charges are processed by HR and are distributed according to the prescribed distributions in the LAM. These distributions impact Effort Certification as well as account balances. Both direct charges to grants as well as cost-shared effort are allocated via the LAM. Instructions on how to use the LAM can be found in HR’s LAM procedural manual, and questions about using the LAM may be directed to lam-system@udel.edu. LAM users can log on to use the module here. Effort Certification is defined as the reporting and confirmation of an employee’s time spent conducting any University activity, expressed as a percentage of the total institutional compensated based time — Institutional Based Salary (IBS). 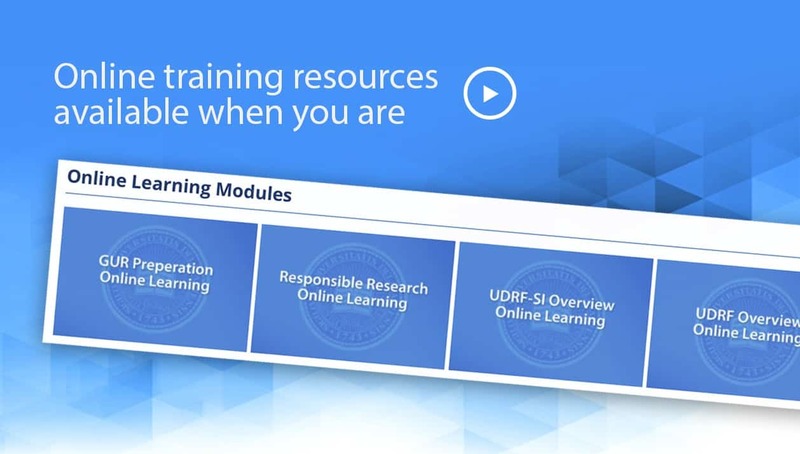 The University of Delaware has an online Effort Certification System. Training documents related to Effort and the Effort Certification System are available here. Employees must review, and if correct, certify their total effort on all sponsored projects for each effort-reporting period. Effort supporting a sponsored project but not funded by the sponsor is considered cost share. Please see the University’s effort reporting policy and procedures here for detailed explanations and instructions. 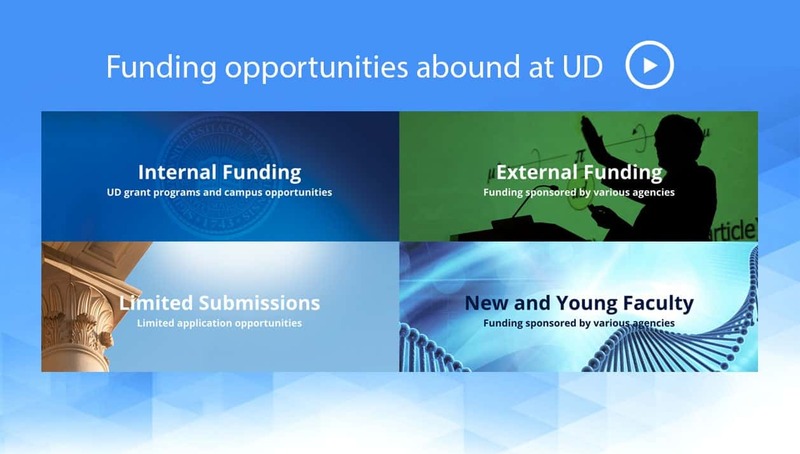 UD's research enterprise depends on funding from federal and state agencies, private foundations, organizations, and industry. 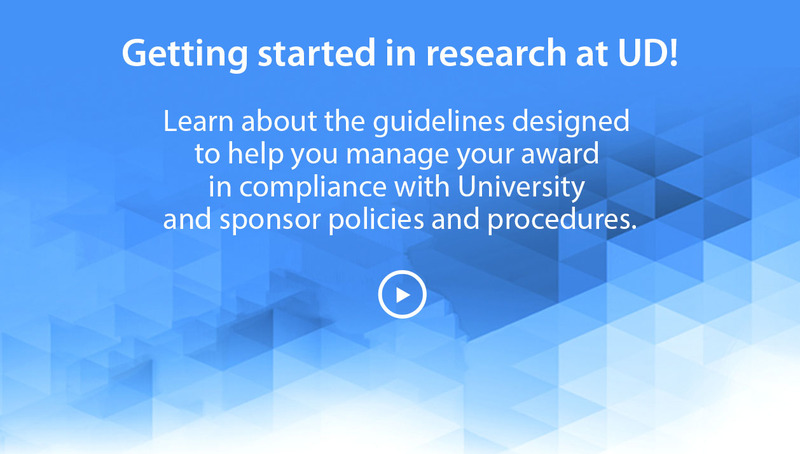 The University's electronic Effort Certification System is the principal means of verifying that salaries and wages charged to or contributed to a sponsored project are fulfilled in a manner consistent with the award documentation and compliant with the federal regulations for which the University is held accountable. 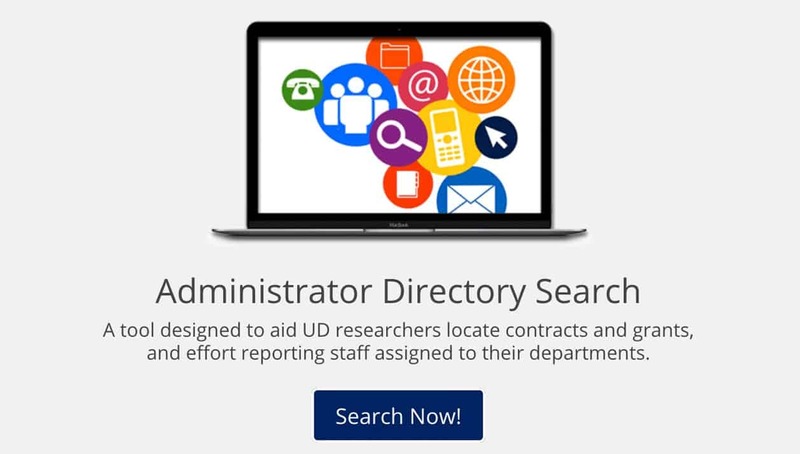 If you need assistance in identifying your effort administrator, please see the Department Administrator Directory within our Staff Directory. To learn more about administering the effort certification process in your department, check out these training opportunities. Effort training is available on the Research Office website here and through ConnectingU. New grant administrators must attend the next available “Introduction to Effort Administration” class. The class is offered throughout the year – at a minimum in March and September. Log-in to ConnectingU for course times and to enroll. There often exists a question over whether funds from a foundation or other (non-federal) organization are to be treated as gifts or sponsored awards. The two are very much intertwined. Awards may be received as either a gift or in the form of a sponsored agreement. 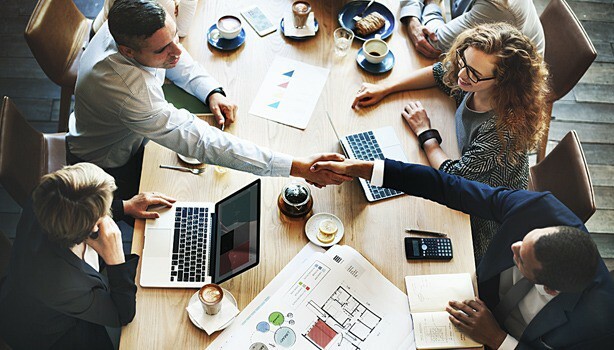 In certain situations, a gift may be administered out of the Office of Sponsored Programs Administration, located in the Research Office, or jointly with the Development Office; these determinations are made at the time of the solicitation/proposal. During the conduct of the project, the principal investigator may determine that budget changes are necessary. Many sponsors allow flexibility in how project funds are expended and permit budget changes needed to meet project requirements. Principal investigators need to be aware of the specific requirements for their awards and to request prior approval for budget changes when necessary. For further information, please review Budget Revision procedure for Sponsored Awards. Equipment fabrication expenses should be allocated to PS account 153100, which does not incur F and A costs. If more than one piece of equipment is being fabricated on a particular PS purpose, or if a piece of equipment is being charged to multiple purposes, it is best to track the expenses as they occur so that you can identify the individual charges for a particular fabrication. Keeping an updated spreadsheet or tagging transactions in UD AT A Glance are good tracking methods. When a fabrication is complete, all charges must be transferred by a journal voucher process from PS account 153100 to 167900 for capital equipment by completing the UD Equipment Activity web form. The capitalization Journal Voucher (JV) may only be processed by General Accounting, following all approvals on UD Equipment Activity web form. Equipment must have an initial value of at least $5K. After capitalization, cost adjustments (also done via JV) will only be allowed by General Accounting if the added value is at least $2K. See University Policy 5-10 in the Procurement and Auxiliary Services section for more details on what qualifies as capital equipment. All the charges to be included in the capitalization must be transferred from PS account 153100 to 167900. 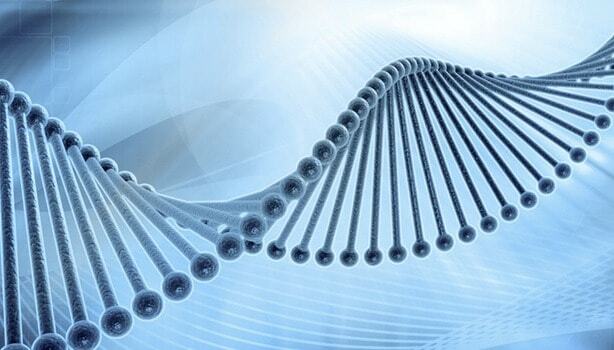 Billing to sponsors and cash received from sponsors is handled by the Research Office. Cash and Billing transactions can be viewed in the Financials queries. It is important to note that cash received prior to the Grants and Billing modules going live in July 2004 is reflected differently than cash that has been received after 7/1/2004. To view all cash received for a Project, it may be necessary to run all three cash queries to get a total. GMQ_CASH_NOT_PS_BILL Cash received outside of PS Billing — This query gives all Cash received outside of the Billing module. GMQ_CASH_PS_BILLED Sum of PS billing activity — This query gives you all Cash received as a result of a Billing in PS module. GMQ_CASH_THRU_2002 Total Cash as of 7/1/02 — This query gives you a total of all cash received prior to 7/1/02 (prior to Financials go-live date). When a sponsor awards funds to the University in support of specific programs and projects, it requires the University to manage those funds prudently to ensure that any costs incurred directly benefit the project accounts being charged. 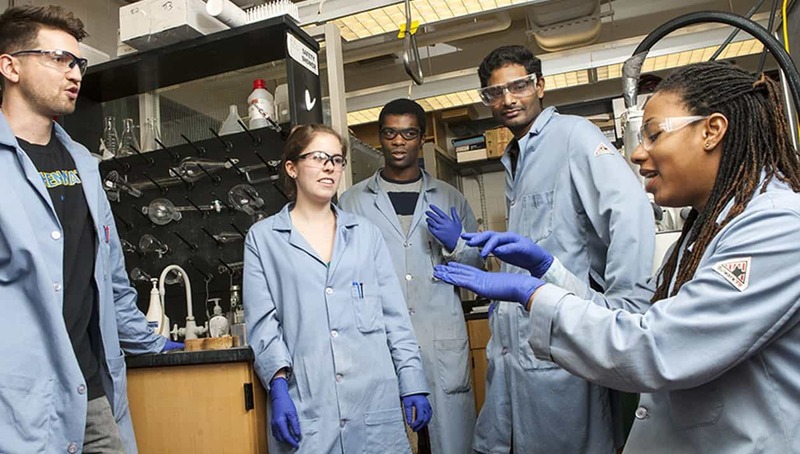 The Federal Government is the largest sponsor of externally funded activity at the University. The cost principles relating to expenditures on federal awards are contained in the Office of Management and Budgets (OMB) Circular A-21 “The Cost Principles for Institutions of Higher Education” and Uniform Guidance 2 CFR 200. These cost principles require that any expense charged to a federally sponsored project be reasonable and necessary, allocable, consistently treated, and conform to any limits or exclusions set forth in A-21, Uniform Guidance (UG), or the terms and conditions of the award. Anyone approving or processing the expenditure of federal funds must have a clear understanding of Cost Accounting Standards (CAS)and apply consistent application of these fundamental cost principles. In addition, individual awards may include special terms and conditions which must be considered when incurring costs. Terms and Conditions in an award which specifically address costs override all related comments in the CAS guidelines document. Consult with the appropriate Contract and Grant Administrator in the Research Office for more details. Research Office Equipment Cost-Share — A separate Purpose is established to track this type of cost-share. All transactions using these Purposes should automatically be populated with the ProjectID. However, it is possible that some transactions may appear in Financials without the Project ID. If this should happen, it is important to contact the responsible department to correct the transaction (i.e., if a Purchase requisition, contact Procurement, JV-initiating department) or the expense will not be reflected as cost- share related to the grant. Other Equipment Cost-Share — Match funds from UD sources other than Research Office may not have a separate Purpose established. There are several different ways to track these transactions. Populate the Project ID in the Project ID field when a transaction is initiated. For example, in a purchase requisition, you would fill in this information at the time the Requisition is submitted. If you are using your departmental supplemental funds Purpose (such as CHEM17S000), the Project ID field is normally blank. By filling in the Project ID, you can run queries to pull all cost-share transactions together, regardless of funding source. GMQ_CS_COMMITTED_EXPENDED_V — Shows cost-share (match) committed and spent amounts by project. GMQ_PO_W_CS_BY_PROJECT — Returns PO data by Project ID and PO and cost-share (details). Cost-share must be verifiable or it may be disallowed. If the department is not able to document that the committed cost-share was provided, a percentage of the awarded funds may be returned to the sponsoring agency. A cost transfer is any adjustment or transfer of expenditures to/from an externally funded contract or grant purpose/project by means of a journal voucher. Diligent review of financial records and timely communication between principal investigators and departmental administrators should prevent the necessity for transfers; however, under certain circumstances transfers may be appropriate. To comply with the requirements of OMB Circular A-21, and Uniform Guidance 2CFR 200, and the requirements of other federal sponsors, University of Delaware has established the following procedures for the processing of cost transfer. DHHS restricts the amount of direct salary of an individual under an NIH grant or cooperative agreement or applicable contract to Executive Level II of the Federal Executive Pay scale. Please see the salary cap summary and the time frames associated with existing salary caps at https://grants.nih.gov/grants/policy/salcap_summary.htm. An individual’s base salary, per se, is NOT constrained by the legislative provision for a limitation of salary. The rate limitation only limits the amount that may be awarded and charged to NIH grants and contracts. An institution must pay an individual’s salary amount in excess of the salary cap with non-sponsored funds. The amount of funding above the salary cap must be coded as cost-share in order to demonstrate compliance with the cap. Please refer to the University of Delaware’s policy Reimbursement for Faculty, Professional, and Staff. Entertainment of University Guests here for information on the criteria for the reimbursement of payment of expenses for entertainment. Meal expenses (non‐travel) are the responsibility of the individuals and are rarely allowed on grants and contracts. This includes meal costs incurred for ad‐hoc meetings, working lunches, lab coffee breaks, routine operations, staff meals, recurring weekly/monthly meeting to discuss the progress on an award, meetings to discuss research during lunch or dinner, or otherwise any intramural meetings of an organization or any of its components, including, but not limited to, laboratories, departments and centers. If know in advance, include the cost in the proposal with justification for approval by the awarding agency. 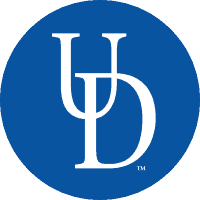 It is also permissible to charge the “reasonable” costs of the meals of a visiting researcher to the award, if the purpose of the visit is collaboration on the specific grant/contract; the associated meal expenses for the UD PI is unallowable on the award but may be charged to the departmental general funds or discretionary accounts. Note that sponsors may place more stringent restrictions than specified in this procedure; refer to the terms and conditions outlined in the notice of award for requirements and/or treatment of such costs. Reconciling transactions on a monthly basis is important to grants management. As with other aspects of grants management, several methods can be used to reconcile your transactions. This application allows University personnel to view University financial data for which they are authorized. The UDataGlance tool may be used for daily review of budget and expenditures and should be used for monthly reconciliation of purpose codes via the monthly statement view. You may access UDataGlance here. Web-enabled statements are provided by General Accounting. This report provides the user with a view of summed and detailed transactions and balances for Purposes/Projects which they are permitted to view. You may access instructions via UDataGlance here. Running a query in UD Financials is another method for checking a balance on an award. You can find a list of some pre-written grants queries and their uses here. Cost transfers should be completed within 90 days of the original charge. Journal Voucher instructions and rules are listed on the General Accounting Web page. Note: Refer to the UD Policy on Cost Transfer for details on the University’s procedure on cost transfers related to sponsored research projects. While sponsors expect Principal Investigators (PI) to complete projects by the stipulated end date, occasionally extra time is needed. A no-cost extension (NCE) gives the PI extra time to complete the scope and objectives of the project without additional funds being provided by the sponsor. Although requests may not be made for the sole purpose of spending remaining funds, you may expend remaining funds during the no-cost extension period if approved. In the event your request is not approved, costs incurred after the end date would be considered unallowable and should be removed from the award via web journal voucher. Continuity of Sponsor grant support is required while a competing continuation application is under review. The Research Office recommends a review of your program at least 90 days prior to the end date to assess if a no-cost extension will be required to complete the project objective. No-cost extension requests should be made according to the sponsor guidelines and should be forwarded to your Contract and Grant Administrator in the Research Office. 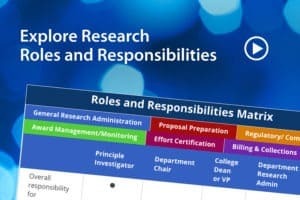 Some funding agencies have awarded The University of Delaware ‘Expanded Authority’ which allows the Research Office to approve the request; however, this is on a case-by-case circumstance. Scientific/Programmatic Justification explaining the need for the extension of time. This narrative should be written as if you were writing your Program Officer requesting an extension. As needed this justification will be forwarded to the sponsor by the Research Office. If subawards have been issued under the prime award and require an extension please indicate and provide the necessary information and justification similar to above. Non Federal Awards No Cost Extension Requests — It is imperative to read the terms and conditions of the sponsor’s award to determine the parameters under which a no-cost extension is permissible. For these types of requests the PI should prepare a letter to the sponsor that includes the length of the extension being requested and the justification for the extension. The PI should forward two signed originals to their Contract and Grant Administrator for review and signature. It is always important to refer to the award document and/or check sponsor specific guidelines for clarification on no-cost extension requirements. 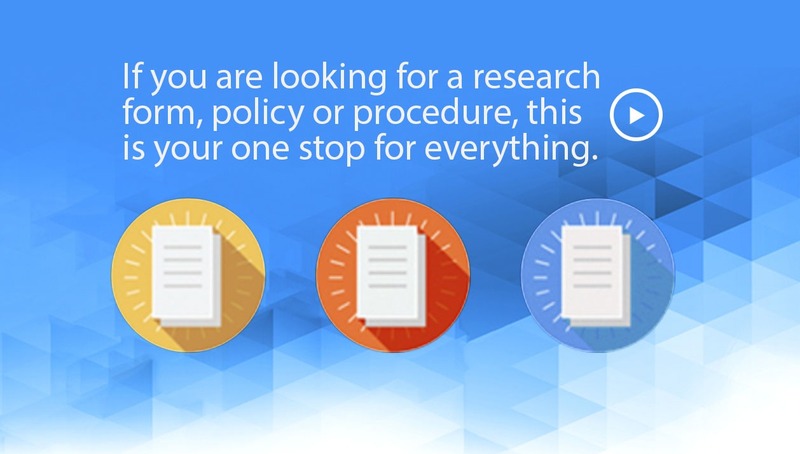 If you have further questions contact your Research Office Contract and Grant Administrator for assistance. Comply with the University’s Records Retention Program. NOTE: Departmental compliance with this policy will be monitored through the Records Retention Program. 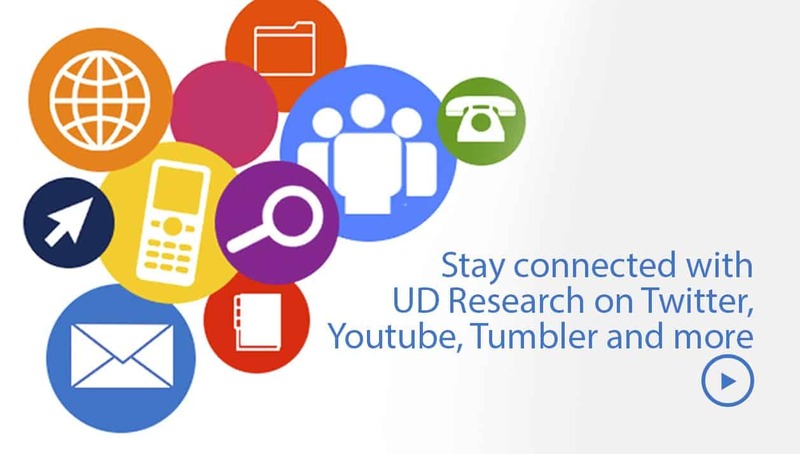 Please see the full UD policy for Record Retention here. Throughout the life of the award, scientific and technical reporting is the responsibility of the PI. Most financial reports required by the sponsor will be prepared and signed by Research Office as the authorized official of the University of Delaware. Unallowable costs are defined as those expenses which are not reimbursable under the terms and conditions of federally sponsored agreements and/or those specifically identified as unallowable in Section J of OMB Circular A-21 (2 CFR Part 220), and Uniform Guidance (UG) Subpart E In the event a discrepancy exists between the provisions of OMB Circular A-21 and UG and those specified within the sponsored agreement, the agreement provisions will prevail. The cost is reasonable: A prudent person would have purchased this item and paid this price. The cost is necessary: The expense is required to fulfill the terms and needs of the sponsored agreement. The cost is allocable: The expense benefits the sponsored agreement or, when the expense benefits more than one activity, an appropriate share can be allocated to individual agreements. The cost is consistently treated: Expenses for the same purpose are treated and classified the same way under like circumstances. The cost is not prohibited: The expense is not specifically prohibited by OMB Circular A-21 and Uniform Guidance (UG), the terms of the sponsored agreement or other regulations. If an activity/expense does not meet the above criteria, it cannot be charged directly to a federal award nor can it be included in the indirect cost base regardless of its purpose. In addition, it cannot be used to meet a cost share commitment. This application allows University personnel to view University financial data for which they are authorized. This tool may be used for daily review of budget and expenditures and should be used for monthly reconciliation of purpose codes via the monthly statement view. You may access UDataGlance here. Download query results to an Excel spreadsheet. GMQ — Maintained by the Research Office; provides Proposal, Project, and CASH information. EZQ_BAL_PROJ queries — Maintained by General Accounting; provides Balances and Transaction information for a specific project to date purpose, not by specific project ID. PIQ — Maintained by Research Office; provides curriculum vitae information from the Employee Demographic Data (EDD), as well as F and A by PI. UDQ — Maintained by the Treasurer’s Office; various useful types of information dealing with Purpose details such as Authorized signers, Titles, Speedtypes, etc. OBQ — Maintained by the Budget Office; provides information related to Obligations. This is a help manual to understanding and completing the Automated Closeout Report/ACR. This Job Aid is not meant to be an “all-inclusive” list. This Job aid has been prepared to help guide users in preparing and completing the automated closeout report. If you have questions or need additional help, please contact the Research Office. No-Cost Extension (NCE) Yes: Please return the ACR indicating 'Yes' if you are requesting a NCE or new increment of funding. Additional clarifying information can be added in the comments section, such as the anticipated end date. Do not hold onto ACR until NCE has been approved. By indicating yes, it will alert the SRA and billing that the financial analysis and final invoice are on hold. Involve Contract & Grant Specialist in the NCE process. No: Please move forward with completing the closeout. Report data will only appear if you answer NO to the first question. Review your Award terms and conditions to verify closeout window. Final Technical Report: Attach proof of submission to sponsor (email, letter, or online submission), not actual report. If no report is required as per the agreement, note that in comments section on ACR. If all is complete on ACR except for the technical report, send ACR to RO so the financial analysis can be completed and the final invoice can be sent. Do not hold up ACR waiting for the report. The ACR will be returned to enable completion of the final technical report section. Cost Share/Match: Expended Amount should be equal to or greater than committed amount. Matching funds posted to 199700 are also posted in expended amount. If the matching funds = the expended funds, the balances listed will be zero. Attach spreadsheet(s) for any other required match that cannot be tagged with a Project ID, such as third party or another grant. Indicate in the comments section any waived F&A being used, and the grand total required and met. Expenses being used as cost share on project must follow same guidelines as on award. After end date charges are transactions that have hit ledger after the Project End date (date is noted at top of ACR). If Project End date is incorrect on this form, please contact the Research Office so that it can be corrected. Attach backup for charges to show that charge was incurred during the grant period. JV's that clearly show transaction dates during the grant period do not require backup and do not need to be attached. Charges that have a transaction date that is during the grant period do not require backup. Actual backup – should show original order date, helpful if the date and dollar amount are circled or marked for easy identification. Organizing the backup – it’s helpful to scan, attach and name by PS account or type of expense (travel, S&E, phone, etc.). Also helpful to scan in date order so that the backup is in approximate order of actual expenses. Over Expenditures: Answer drop down question. Add comments, if there is a pending JV that was recently submitted to clear overexpenditures. restrictions or prior approvals have been followed. Please provide written justification for the charges listed in this section. How are they allowable, allocable, reasonable and consistent? Backup is required for Foreign Travel flights and local meals. Fly American Waiver checklist is required for all Foreign Flights. Review all charges posted to award to ensure that the proper PS account was used. There may be PS accounts on here that are allowable on your award. The ACR is programmed with a standard list of accounts and does not know what's been approved in your budget. During the RO closeout review, we may also ask for justification on accounts that are not listed. Upon review of the justification, source documentation (receipts/invoice) may be requested by the Research Office. Outstanding Transactions: If everything else on the ACR is completed, you can submit the ACR with notes about the pending item(s), but keep in mind that we can’t complete the closeout until all transactions have hit the purpose code. If you have submitted requisitions to procurement for payment, please attach them as well as any backup that may be needed for the after end date charges. Equipment Inventory: Verify that all 153100 transactions have been capitalized or moved to S&E. There are very few exceptions where 153100 can remain on a purpose. Check sponsor’s terms and conditions – if a property inventory is required, please attach it here. If the section states “No transactions have been found,” you don’t need to add a comment. A final invoice and closeout document(s) are required for every subcontract. Monitor the subcontractor for invoices, and make sure the final invoice is requested well before the end date, if it hasn’t already been submitted. Coordinate with your Contract and Grant Specialist to obtain any missing documentation. The full amount expensed and posted to ledger for each subcontract should match the certified expenses amount provided by the subcontractor on the closeout document. Purchase Orders: Notification of open purchase orders. Review the POs to determine if all obligations have been paid. If a PO is listed in this section and all obligations have been paid, complete webform "FIN Purchase Order Amendment" to close the PO. Salary JVs: Verify that all proposed effort, including cost share has been met with completed Effort Certifications. Ensure there is no negative effort on project. Submit JVs if effort cost share requirement has not been met. Review agreement for any requirements regarding salary caps to ensure compliance. 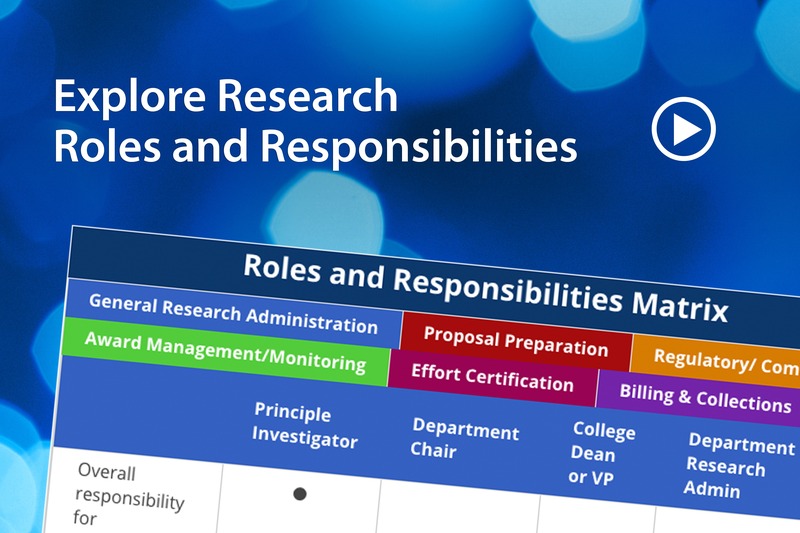 Contact Research Office Effort Manager if you have questions or need Effort Certifications pushed for corrections. F & A Costs: Review the F & A charged to ensure it is correct. Potential Inventions: Checking for patents/IP issues is required for federal and federal pass-thru awards, and any agreement with IP/Invention reporting terms. 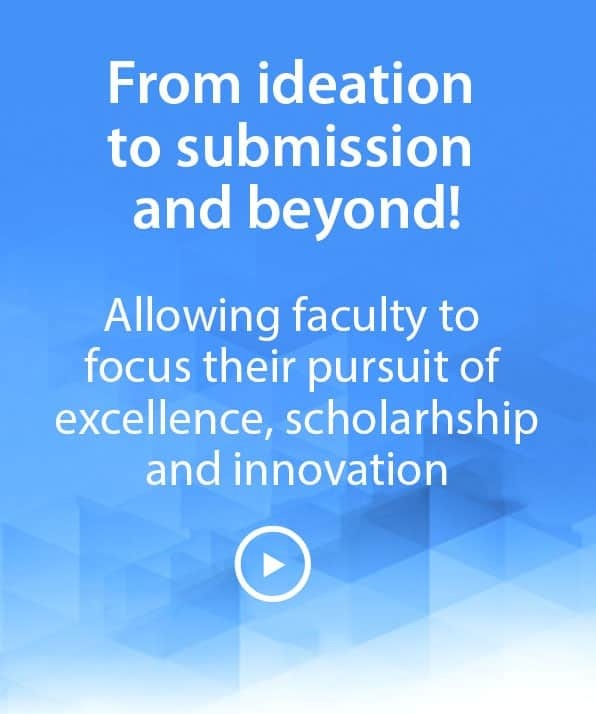 Department administrators need to coordinate with their faculty members to identify if they have filed any patents/IP issues with the Office of Economic Innovation and Partnership (OEIP) either directly or by using patent database. Please ensure that inventions are filed under the full award number. Purpose/Project Conflicts: This section will display a total for all mismatched transactions only if there is a problem between the balance of the purpose vs. the balance of the project. Verify that all transactions have hit both the correct purpose and project. The total expenditures for each should be the same. If there is a discrepancy between the purpose/project, it needs to be determined where the charge belongs. Once identified, the Research Office may need to process a JV making the correction(s) or Procurement may need to correct. Please coordinate with the Research Office. Labor Allocation Module (LAM) Remove all personnel from the LAM distribution tagged with this project. Remember to check that any salary tagged as Cost Share has also been removed from the LAM distribution. Please note in the comments if an employee has been terminated. Confirm Final Expenditures: Confirm that the final expenditure balance being reported under this section as Actual Expenditures is accurate. Type the final total expenditures for this project, including outstanding transactions. Identify any outstanding transactions in comments section. Routing and Authorization: Save and Exit can be used to save changes and return to the form at a later date. The submit form button will complete the action that you have selected from the drop box. If "Forward" is selected from the action, you will need to enter the email address of the individual you want to receive to receive the form. "Forward to the Research Office" will send the completed form to the assigned Sponsored Research Accountant to begin their part of the closeout process. Please remember that closeouts are not reviewed until the closeout report is submitted to the RO. This is a webform to manage project status and prepare for Closeout. *Escalation notifications will be sent to the appropriate individuals.